Welcome to Concierge Pet Carriers. 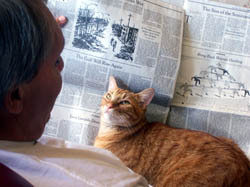 We know that our pets can be as much of the family as our children or spouse. 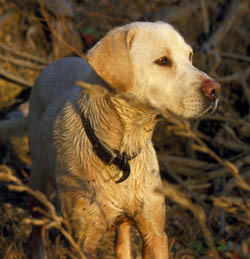 It is this sentiment that inspires our pet service providers to perform at the highest industry standards for your pets. Our goal is to provide our customers and their pets with exceptional Pet Transportation & Complete Home Service experiences. 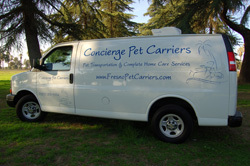 By continually meeting the expectations of our customers, Concierge Pet Carriers is establishing itself in Fresno and the Central San Joaquin Valley as the premier personal pet transportation company! It is with the greatest pleasure that we invite you to join our family and become one of the satisfied customers that utilize our Complete Home Care Service experience. No request is too big or small. Concierge Pet Carriers will assist you with the courteous and convenient Complete Home Care Service experience that you desire. Meeting our customer's expectation of safe, reliable pet transportation is the goal of Concierge Pet Carriers. We go beyond the guidelines set by the United States Department of Agriculture (USDA) to provide the best transportation available for our customers' pets. Our vehicles are air conditioned, heated, and insulated to greatly reduce external sound and climate conditions that may cause unnecessary stress to your pet.